Original / Genuine Dell WDX0R WDXOR Battery For Inspiron 15 7000 Series(Li-ion 11.4V 42Wh). Fast Shipping in USA. This is a Dell WDX0R WDXOR Battery For Inspiron 15 7000 Series. 3CRH3, T2JX4, WDX0R, WDXOR, . 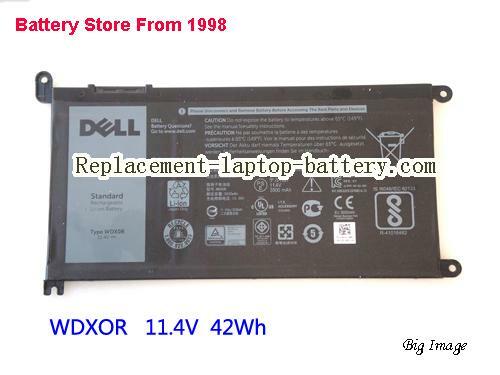 Online shopping for high quality and cheap Dell WDX0R WDXOR Battery For Inspiron 15 7000 Series. All Dell Laptop Computer Batteries and Dell Replacement Laptop Batteries are 30 Days Money Back, 1 year warranty.